Written by a two of Margaret Thatcher’s staunchest allies, this short book is filled with personal memories of meeting the great lady and of the impact she had on British politics. As British politics bids farewell to one of the greatest Prime Ministers of all time, two long time members of the Conservative Party recall their memories of Maggie Thatcher. From their first meeting with the Iron Lady in 1978 through the years in government, the efforts to forestall plotting against her and the years after she left No.10 are all detailed. 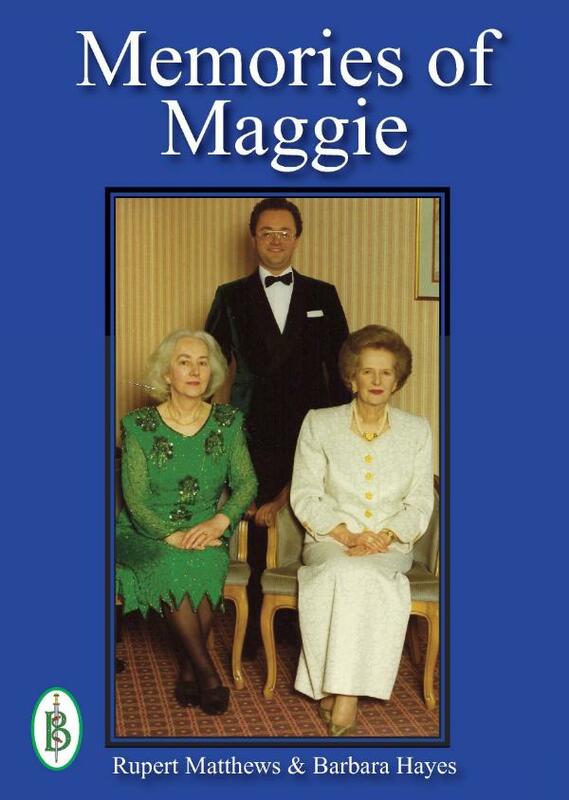 This book is about the impact that Maggie had on politics as it was seen from the sharp end - out on the streets knocking on doors and handing out leaflets. Forget the philosophy of “Thatcherism”, this is street politics and the impact that Lady Thatcher had on politics as it is done, not as it is talked about. The years have clouded the memory and things were not as the modern media seek to portray them. So hear it from the horse’s mouth. Just what was it like to be involved in British politics under Mrs Thatcher? Barbara Hayes worked on the editorial staff and spent many years writing stories and picture strip scripts for the Amalgamated Press, situated in Farringdon Street, which is round the corner from Fleet Street, London. Later Amalgamated Press became Fleetway Publications and subsequently part of the Daily Mirror IPC publishing group. Barbara was just in time to work with some of the old Fleet Street hacks in all their drunken glory before the move away from Fleet Street to modern technical respectability. She got advice straight from the lips of Hugh Cudlipp, the famous editor of the Daily Mirror, and became married to an Amalgamated Press editor, Leonard Matthews, who rose to be a managing editor and then an editorial director. Over the years she has had some 80 books and about 7300 scripts published by companies from England to Australia to South Africa to Florida and back to Holland. She likes to think of herself as an old hack writer who succeeded mainly because she always got her work in on time and the right length - but if you read on carefully you might find quite a few other hints to help you.